It’s a season of giving. Let’s share love and light to those that may never be able to thank us. Don’t let this Christmas be just about you and your family. Reach out and touch somebody else! 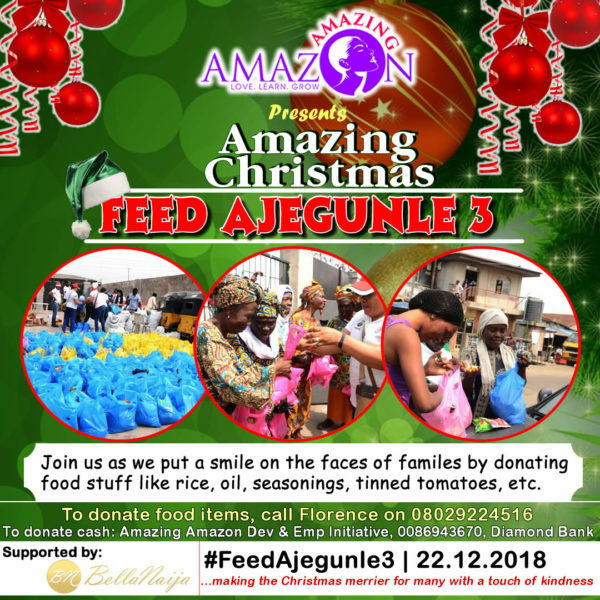 Join us as we go to hand out raw food Items to 3,000 families in Ajegunle on the Saturday before Christmas so they can join us in having a Merry Xmas!